Great location. Right on beachfront. Grounds and pool were well maintained. Great view of the bay. Walking distance to cafes and restaurants. Will be back. Loved the location, right on the beach, close to restaurants. Beds very comfy, lovely clean apartment, sea views, perfect. The location..i.e. the view and pool, and friendly atmosphere. Easy access to public transport, and cafes...even a cinema at adjacent Boat Club! Great location and views. Very comfortable and clean. Great value. It was very close to the beach. The lagoon pool was lovely. Swimming pool,beach, shops, restaurants are in walking distance. Huge spa bath tub. Lock in a great price for BreakFree Great Sandy Straits – rated 8.3 by recent guests! 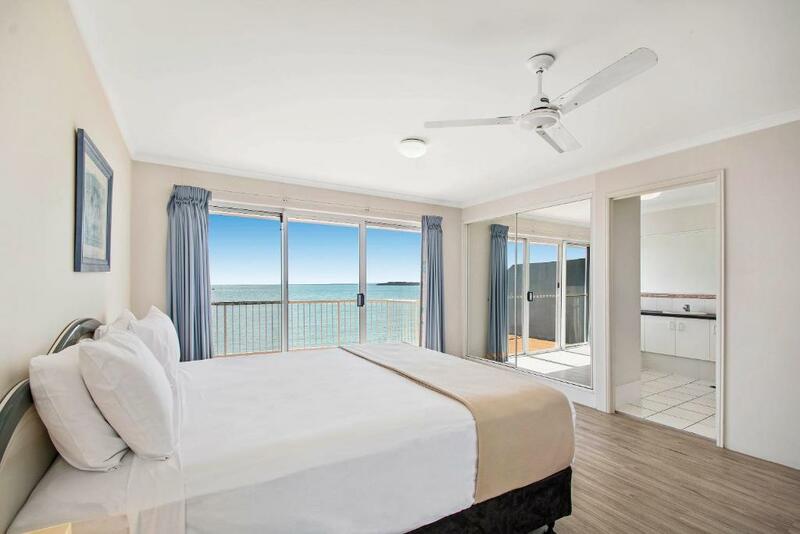 BreakFree Great Sandy Straits This rating is a reflection of how the property compares to the industry standard when it comes to price, facilities and services available. It's based on a self-evaluation by the property. Use this rating to help choose your stay! With direct beach access, BreakFree Great Sandy Straits offers air-conditioned apartments with uninterrupted views of the bay and marina. Facilities include a family pool and 2 full-size tennis courts. 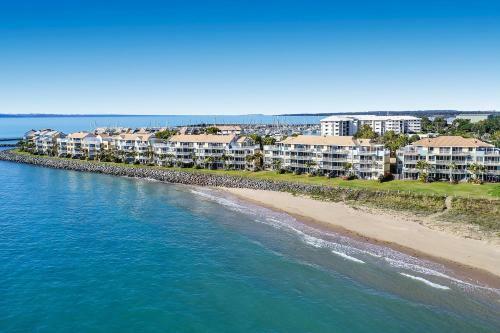 BreakFree Great Sandy Straits Hervey Bay is only 50 feet from restaurants and shops at the Great Sandy Straits Marina. 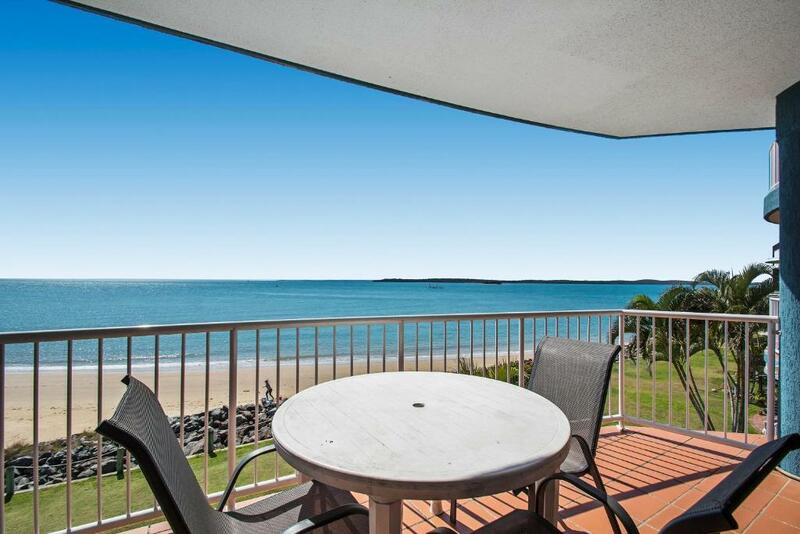 It is 150 feet from the beach and 3.1 mi from Hervey Bay Airport. Each apartment includes a kitchenette or fully equipped kitchen, laundry facilities and a living area with TV. All apartments have a large balcony overlooking the beach, or a courtyard with grassed patio area. Guests have access to 2 outdoor swimming pools, barbecue facilities, a games room and sauna. There is an internet kiosk in the reception area. Free secure parking is provided. When would you like to stay at BreakFree Great Sandy Straits? 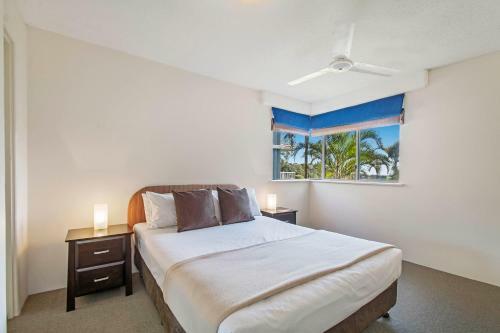 This air-conditioned apartment features a relaxing spa bath and lovely ocean views. It has a separate lounge area and a kitchenette. This apartment offers a living area with views of the bay or marina. It has a large kitchen with an oven, a microwave and a dishwasher. Laundry facilities are included. 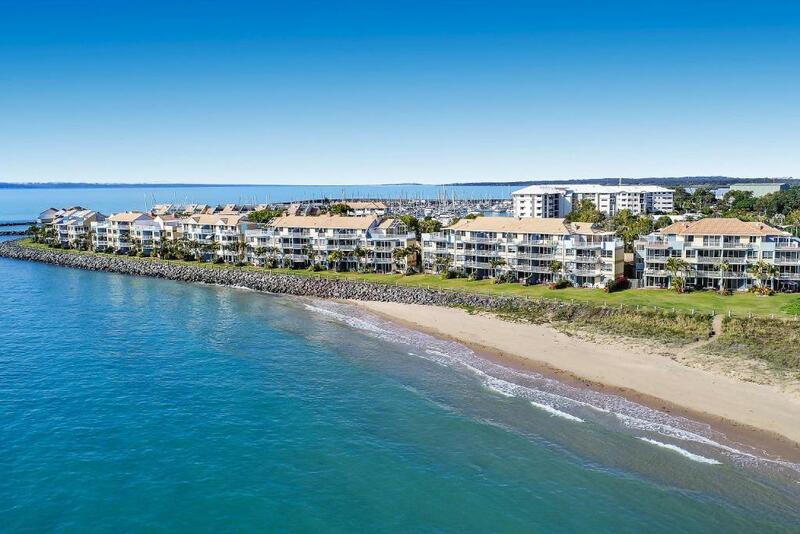 Spacious apartment with 3 separate bedrooms and a main living area with views of the bay or marina. Features air conditioning, fully equipped kitchen with dishwasher. Laundry facilities are provided. Spacious open-plan room with air conditioning and tea and coffee making facilities. Please note this room has no capacity for additional guests. 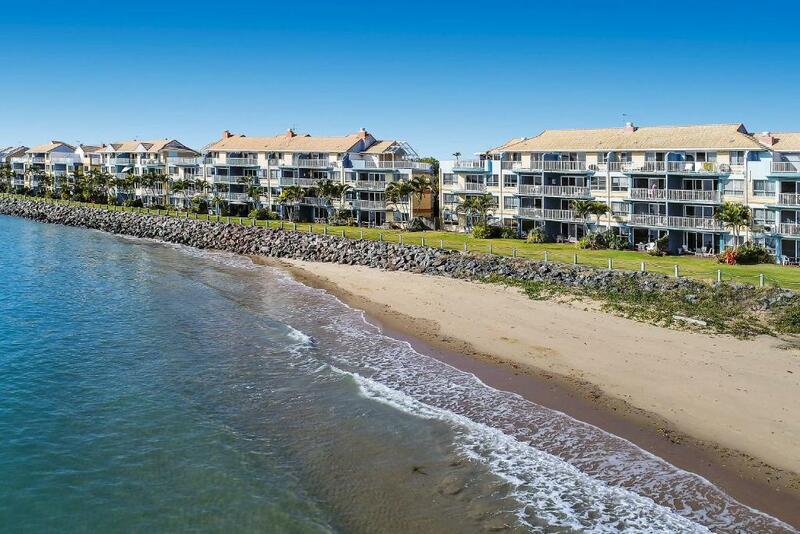 This is a ground floor unit with direct access out onto the grass and leading to the ocean. This apartment offers a living area with views of the bay or marina. It has a large kitchen with an oven, a microwave and a dishwasher. There may be stairs at the entrance to the apartment. This air-conditioned suite features a separate lounge area and a kitchenette. This apartment features a balcony, electric kettle and view. House Rules BreakFree Great Sandy Straits takes special requests – add in the next step! BreakFree Great Sandy Straits accepts these cards and reserves the right to temporarily hold an amount prior to arrival. The lingering smell. When we first walked in we expected to find that a wet dog had curled up and died some where in the apartment. We understand that places can become a little musty after being closed up for a time, but this was beyond that. Luckily there was always a nice breeze moving through the place when the doors were open to keep the smell at bay. Curtains throughout were grubby and falling from rail in places. Extra cot was extremely uncomfortable, being well passed it used by date. Kitchen was poorly equipped. Basic necessities were lacking. eg. baking trays, measuring jug. No one needs 4-5 large fruit bowls. Even though there were more keys than we new what to do with on our sets of keys, we could not open a screen door in the room with the 2 single beds. Screens on doors were grubby. Towel hooks in bathroom broken and not replaced. A few more door stoppers too stop the doors from slamming would have been nice...or perhaps I could have used a fruit bowl. The location...being close to the water and uninterrupted view of the bay. The queen bed and 2 single beds were nice and comfortable. The sheets and towels were clean and fresh. Having our own secure parking garage was good. Pools and gardens well maintained. Maybe have a folder with all facilities within the resort in the room. High end restaurants that are within walking distance do not cater for small kids. Excellent location. Clean and fresh apartment overlooking the marina. Our dated. Bed very soft & uncomfortable. Really needs a new refresh. The view was amazing, apartment was very comfortable, large and clean. Boardwalk in front of unit barricaded off. Kitchen equipment sparse, beds uncomfortable. The unit was well positioned on Marina side. Clean and great view. The apartment we stayed in had no clock anywhere only the microwave. The kitchen utensils were not good, no fridge storage containers, can opener didn't work, potato peeler difficult to use. These are minor things but for the price you pay perhaps a little upgrade there would help. I don't think apartment catered for longer term stays like we had. The room seemed to have not had a thorough clean, dust was evident on the furniture and microwave. Wonderful views, close to pool, close to beach. Quiet and relaxing. perfect distance to the pier encouraged walking. I booked this room for our friends to stay in for our wedding. They were truely amazed at the location and the ocean and Fraser Island Views. They loved the spa and th bonus balcony area upstairs. Staff was friendly, room clean and bed comfortable. The room felt very dated. The walls were dirty with patchy paint. The shower in the lounge room although clean had some sort of mould growing in the glass screen. Only one towel rail & nowhere to hang a second towel. Midgees were able to get through the screens so we had midgee bites. The location was good. It was about a 15 minute walk from the Urangan Pier shopping / restaurant precinct. It was also right beside the marina. The view over the pool to the beach was nice. The kitchen was good.